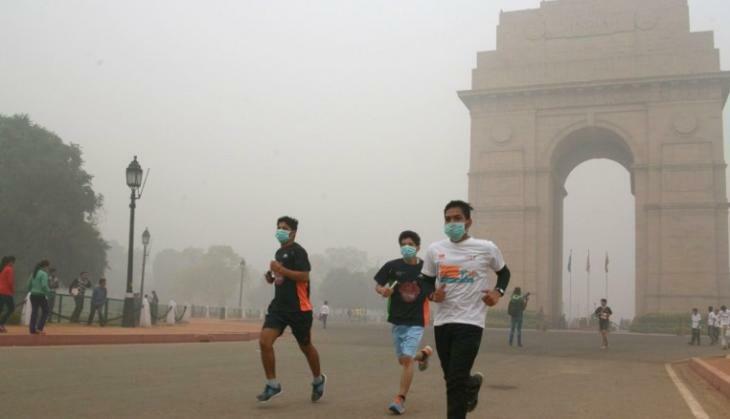 Pollution in Delhi has increased the breathing problem among the Delhiites. From the last month, this problem is not finished yet. However, the government is trying its best to find the solution for this major problem. Now, the government has come up with an exciting plan that will help in curbing the air pollution from the capital. As there is no raining till now, therefore, the Indian Space Research Organisation (ISRO) along with IIT Kanpur are planning to create artificial rains in Delhi to washed out the pollution. This is for the first time that ISRO will be going to introduce a new plan that it has never attempted. ISRO will seed clouds till 25th November. The forecast for Delhi is of almost clear skies on the date, according to the India Meteorological Department (IMD). However, there is no indication of rain till 25th November, confirmed by BP Yadav, deputy director general of IMD. On the other hand, there is no certainty that when the artificial rain will be done as they are waiting for meteorological conditions to fall into place for the cloud seeding. As per the System of Air Quality and Weather Forecasting (SAFAR) forecast, the air quality index (AQI) was likely to remain in the category of ‘very poor’ for next two or three days due to high relative humidity and low temperature. As per the reports of PTI, IIT Kanpur Deputy Director Manindra Agarwal said that ‘we have made all the preparations and have also got the aircraft from ISRO which will be needed to induce the artificial rain.’ The technique has been tested before in Maharashtra as well as in some parts of Lucknow. But, this is for the first time in India that artificial rain would help in removing the air pollutants.